Mules | "The CTI Blog"
Organized cyber-gangs in Eastern Europe are increasingly preying on small and mid-size companies in the United States, setting off a multimillion-dollar online crime wave that has begun to worry the nation’s largest financial institutions. Ah, deja vu! 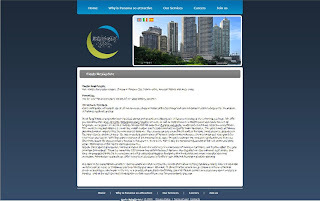 How is it possible that the Scope Group money mule recruitment group acting as the employer for the interviewed mule has been ‘set up in 1990 in New York, the USA by three enthusiasts who have financial education’ just like AF-GROUP LLC and its portfolio of brands, whose 30k botnet operations I exposed and took down in May, 2009, next to establishing a direct connection between the botnet and an Ukrainian dating scam agency known as ‘Confidential Connections’? Pretty simple – just like the efficiency-centered mentality applied in the template-ization of malware, the ongoing standardization of the money mule recruitment business model is resulting in a bogus brand portfolios using identical web site layouts next to the same copy writing materials offered by a single vendor exclusively working with money mule recruitment organizations only. A couple of years ago, the money mule recruitment process was largely inefficient due to the operational security applied – not everyone could become a money mule unless certain criteria was met. 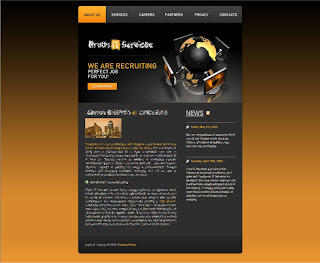 A newly launched managed money mule recruitment design agency that I’ve been monitoring for a while, is poised to help cybercriminals achieve faster recruitment rates based on the cybercriminal-tailored services it’s offering. Whereas it’s been operating beneath the radar for several years, exclusively serving known and trusted cybercriminals, it’s recent mainstream business model is a great example of a timely underground market proposition due to the fact that the current economic climate best suits the money mule recruitment business model due to its high commissions for processing fraudulently obtained money. Do you infiltrate the entire assembly line, or do you assess the final product? Appreciate my rhetoric as usual, it’s full disclosure time, hence infiltrating the assembly line. In this post, we’ll take a look at five templates offered by the managed money mule recruitment vendor, assess several of their customers currently using them to launch targeted and localized to German spam campaigns aiming to recruit new money mules, expose their entire domains portfolio and associated emails used for correspondence with prospective money mules. Moreover, we’ll actually attempt to becoming a money mule by interacting with their market proposition, obtain the financial agent agreements, and expose little known facts about how sophisticated and social-engineering oriented the entire money mule recruitment process really is. For starters, here’s how the service describes itself, and what type of packages it offers to prospective money mule recruiters. The less sophisticated package is offered for $900 and the corporate version goes for $1700. – the entire document required for the process, custom forms, contracts, invoice applications etc. 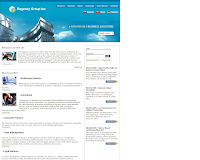 – fake company site in several languages, for instance, Dutch, German, Bulgarian, Italian etc. 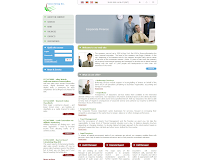 – fake signatures representing the CEO, accounts manager etc. Upon purchasing any of the packages offered, a custom and non-existent brand logo and related company information will be used on the top of the templates currently offered. Let’s expose some of the bogus brands using these campaigns, whose spamming campaigns have been actively recruiting new money mules over the past couple of months. 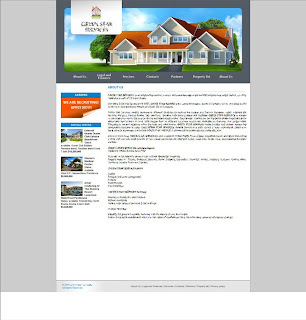 For instance, the last template — see attached copy of the original one — is currently being used by a company known as PanIn Real Estate – panestate .com – 194.0.200.15 – Email: disperswave@gmail.com. 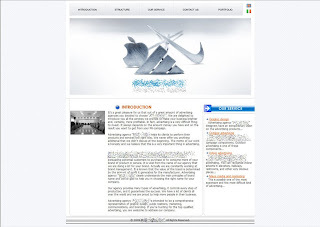 The site is currently localized to English; Italian (panestate .com/index_it.html); and Spanish (panestate .com/index_sp.html). 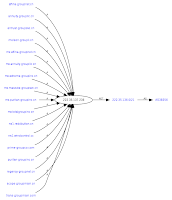 It gets even more interesting when we start analyzing their spam campaign, currently localized to German. 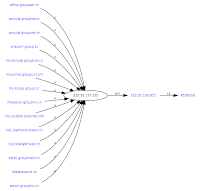 For instance, it appears that the customer of the managed money mule recruitment service is using their basic package, since 99% of their spam emails are using Gmail accounts, in fact, one of the spam campaigns is relying on the very same email that the domain panestate .com has been registered with – disperswave@gmail.com. ‘Liebe Bewerber! Sind Sie schon mude von solchen Briefchen, in dem man Ihnen einen Arbeitsplatz anbietet? Ich weiss das. Deshalb mochte ich zuerst Sie um Verzeihung bitten. Ich habe aber eine freie Vakanz und mochte sie Ihnen anbieten. The second template used in the wild — the site returns a 404 error message — is called Green Star Services website, with the customer apparently still in a testing phrase. 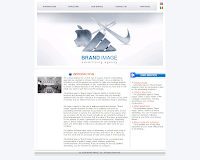 ‘Advertising agency ‘Brand Image’ helps its clients to perform their products and services the right way. We never offer you anything additional that we didn’t discuss at the beginning. The motto of our work is honesty and we believe that this is a very important thing in advertising. 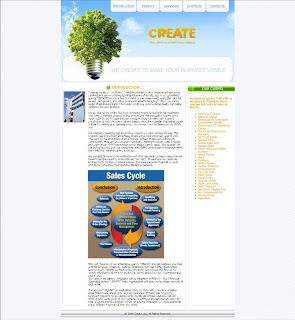 We were created to help you in selling products and services. ‘Brand Image’ typically attempts to assist you in building your brand by persuading potential customers to purchase or to consume more of your brand of product or service. 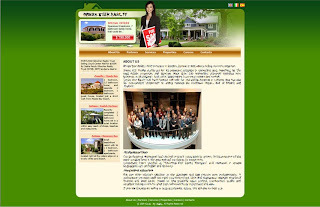 It is vivid from the name of our agency that we are doing a lot for your brand. Actually we are constantly working at brand management. It is known that the value of the brand is determined by the amount of profit it generates for the manufacturer. Advertising agency ‘Brand Image’ clearly understands the main principles of brand name and will be glad to help you in choosing the right name for your company. 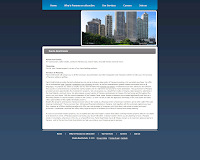 What we’ve got here is an identical spam template using a template offered by a managed money mule recruitent design vendor, that is advertising another bogus brand, with the domain name itself registered using the same detaisl as Brand Image Advertising Agency (internationalbrandimage .com – 91.213.72.142 – Email: Sergey Stepanov; userovsky@gmail.com). 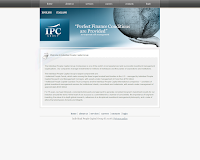 In the case of the localized to Italian spam message that’s yet another bogus brand Individual People Capital Group, individualpeople .org – 91.213.72.142 – Email: Sergey Stepanov; userovsky@gmail.com. 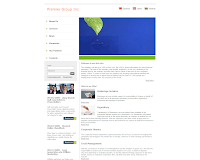 ‘The Individual People Capital Group Companies is one of the world’s most experienced and successful investment management organizations. Our companies manage investments for millions of individuals and thousands of corporations and institutions. There are cases when money mule recruiters are interested in plain simple botnet building, case in point is a situation where a spammed money mule spam message advertising individualpeople .biz/go.php?sid=7 was actually serving a malicious PDF, next to linking to the recruitment site itself (individualpeople .org). In order to further demonstrate the ongoing standardizing of the money mule recruitment process through template-ization, it’s time to expose the bogus brands portfolio, and associated domains of a money mule recruitment organization that has been relying on an identical template over the past couple of years. In fact, in May, 2009, a botnet which was used by Ukrainian dating scam agency Confidential Connections was not only found to be directly related to the money mule recruitment gang, but the cybercriminals used one of the recruitment domains as a command and control server for their botnet spamming operations, with the domain itself and one of the sampled dating scam ones registered under the same email. Once the end user falls victim into the recruitment scam, the entire process of registration and communication with the bogus organization takes place through a web-based interface where the potential money mules has to not only provide detailed personal data, but also, as much information as possible that would help the cybercriminals better achieve their objectives. For instance, the template for the money mule registration process includes a self-answered question which even the average user can get suspicious about – Why are you gathering so much information about applicants? Such attention especially to bank account details puts me on guard. The recruitment organization is clearly aware of basic quality assurance concepts, due to its surprising tactic used for monitoring the transaction process for each and every money mule working with them. How do they achieve this? By offering a $100 financial incentive as a bonus for each and every money mule that provides the bogus company with access to their online banking account so that the organization can monitor the transaction process remotely. It doesn’t take a rocket scientist to conclude that even with a two-factor authentication requirement there are ways in which the organization can hijack the entire financial identity of the money mule without his/her knowledge. – There is no need to check your bank account every hour during transactions, your personal supervisor will do it instead of you! You’ll be informed the same minute funds arrive. 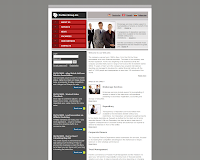 – No need to send us your bank account statement every week (maybe 2-3 times a week). 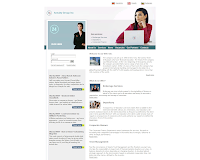 – We trust you much more, you’ll receive money bonuses and more transactions! The very idea that the money mule has reached the tipping point of its gullibility in order to provide the organization with access to their bank account is surreal, but clearly possible since having reached point of the registration process means they have absolutely no idea what they’re doing. The Contractor undertakes the responsibility to receive payments from the Clients of the Company to his personal bank account, withdraw cash and to effect payments to the Company’s partners by Western Union or MoneyGram money transfer system within one (1) day. He/she will report directly to the senior manager and to any other party designated by the senior manager in connection with the performance of the duties under this Agreement and shall fulfill any other duties reasonably requested by the Company and agreed to by the Contractor. The Contractor acknowledges that during the engagement he will have access to and become acquainted with various trade secrets, inventions, innovations, processes, information, records and specications owned or licensed by the Company and/or used by the Company in connection with the operation of its business including, without limitation, the Companys business and product processes, methods, customer lists, accounts and procedures. The Contractor agrees that he will not disclose any of the aforesaid, directly or indirectly, or use any of them in any manner, either during the term of this Agreement or at any time thereafter. All les, records, documents, blueprints, specications, information, letters, notes, media lists, original artwork/creative, notebooks, and similar items relating to the business of the Company, whether prepared by the Contractor or otherwise coming into his possession, shall remain the exclusive property of the Company. The Contractor shall not retain any copies of the foregoing without the Company’s prior written permission. The Contractor further agrees that he will not disclose his retention as an independent contractor or the terms of this. Agreement to any person without the prior written consent of the Company and shall at all times preserve the condential nature of his relationship to the Company and of the services hereunder. If the Contractor releases any of the above information to any parties outside of this company, such as personal friend, close relatives or other Financial Institutions such as a Bank or other Financial Firms, it could be grounds for immediate termination. If the Contractor is ever in doubt of what information can be released and when, the Contractor will contact their superior right away. The Contractor is engaged by the Company on terms of thirty days (30) probationary period. During the probationary period the Company undertakes to pay to the Contractor the base salary amounting to 2300 USD per month plus 8% commission from each payment processing operation. After the probationary period the Company agrees to revise and raise the base salary up to 3000 USD. The Company has the right to cancel this Agreement at any time within the probationary period or refuse to extend it after that, should the Contractor refuses to fulfill his/her obligations under this Agreement or fulfills them not in good faith. The Contractor has the right to terminate the Agreement at any time on condition that he/she has processed all previous payments and has no new instructions. The Company undertakes to pay taxes accrued in connection with money transfer. The Company shall also reimburse part of expenses which are incurred in connection with money transfer by Western Union or MoneyGram systems (should money transfer charges exceed 3%, i.e. commission for payment processing operation). The above difference will be automatically added to the basic salary of the Contractor and paid once per month together with the basic salary. All reasonable and approved out-of-pocket expenses which are incurred in connection with the performance of the duties hereunder shall be reimbursed by the Company during the term of this Agreement, against the bill presented by the Contractor. The Company shall have the right to decrease the Contractors commission in case the payment processing terms were violated by the Contractor. With such a professional attitude towards their work, now a process that’s easily outsourced to vendors specializing in quality design and bogus company creation services, their recruitment process is prone to reach new levels of efficiency, which is why standardization was applied at the first place. However, just like in the case of malware and scareware, template-ization undermines their operational security (OPSEC) a process which they’re clearly aware, but do not fully utilize since money mule recruitment is currently in efficiency-mode. Knowing the transactions pattern for a money mule recruitment, one which is clearly visible while going through their agreements, can in fact make it easier for financial institutions to protect their customers from themselves before it gets too late and they unknowingly dive deep into the money mule recruitment business model. You are currently browsing the archives for the Mules category.